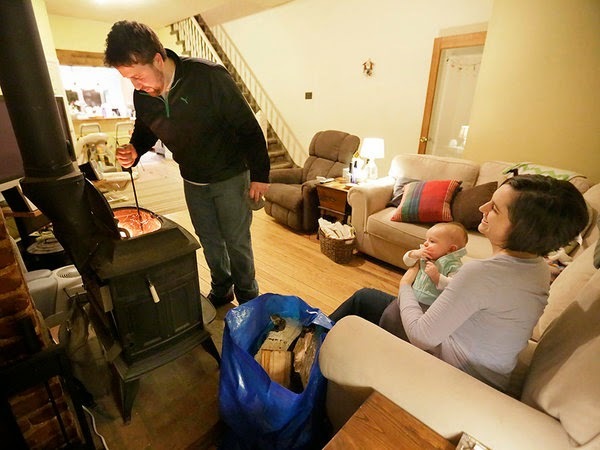 On April 15, three air quality groups filed a motion to intervene in the lawsuit that a hearth industry group is bringing against the EPA over their new wood stove and boiler regulations. These groups said that their interest lies in “defending the Final Rule against challenges brought by industry groups seeking to further weaken or delay it.” This development is likely to make the suit more difficult for the hearth industry. By May 15, at least 3 other parties had filed suit, including the Pellet Fuels Institute (PFI), Tulikivi and several fuel producers. PFI is challenging the EPA's authority, under the Clean Air Act, to regulate fuel. Tulikivi, the primary factory-made masonry heater company, is suing because they are not being regulated and want to be. Unlike these groups with relatively narrow grounds for suing, HPBA will be raising many issues pertaining the Step 2 emission standards that take effect in 2020. The most prominent of the air quality groups, the American Lung Association (ALA), has a long history of both cooperating with the EPA and also being part of suits against it. Their motion suggests that the EPA’s new rule could or should be stricter, but they do not appear to be suing for stricter emissions standards. If the air quality groups had chosen to sue for stricter standards, they would have risked having the rule sent back to EPA for revision, which could backfire as a revised rule may not be issued until 2017 or later, when a Republican nominee could potentially be running the EPA. The industry strategy may be precisely that –to send the rule back to EPA for revision, then to try to delay the revision until a more sympathetic administration takes over. But this strategy also poses a risk for industry, as the revised rule could emerge even stricter depending on who takes charge of the EPA. The hearth industry group, the Hearth Patio and Barbecue Association (HPBA) – a loose amalgamation of wood, pellet, gas, grilling and outdoor furniture industries –has not yet laid out the basis of its suit and is not required to do so until the DC Circuit Court sets a briefing schedule. The date for oral argument is usually set 6 to 8 weeks after the date final briefs are due, and the three-judge panel for oral argument typically is not be announced until shortly before the argument. HPBA will be focusing on challenging the stricter Step 2 emission standards, which take effect in 2020. The other two air quality groups who joined the suit along with ALA are the Clean Air Council (CAC) and Environmentand Human Health, Inc. (EHH). CAC is based in Philadelphia and focuses on a wide array of energy and environmental issues. EHH is a small group based in Connecticut and has worked on outdoor wood boiler pollution for many years. All three groups, the ALA, CAC and EHH, were active in the comment process on the rule. Earthjustice, a public interest law firm that does not charge its clients, is representing the groups. The Environmental Defense Fund, which had teamed up with these three groups on earlier litigation, did not join this intervention. One strategic point of this lawsuit will be the selection of the 3-judge panel, which is done at random. Generally, insiders tend to consider Republican appointees more industry-friendly and Democratic appointees more inclined to support public health groups. History has shown that judges can be less-than-predicable in terms of how they deal with threshold legal issues such as standing, ripeness, procedural issues, or deference owed to the agency, and their decisions on these issues rarely break down along party lines. Although everyone will be interested in knowing the three judges that will form the panel, knowing who they are is rarely enough to predict how the case will turn out. The new EPA rules cover everything from very clean pellet stoves to extremely dirty outdoor and indoor wood boilers. Most pellet stoves and some wood stoves, for example, already meet the 2020 standards and are very affordable. The industry lawsuit is likely to focus on 2020 standards that some indoor and outdoor wood boilers will struggle to meet, as well as 2020 wood stove standards that will raise the cost for some stoves. In the 6 months leading up to the announcement of the rule, the industry focused mainly on delaying the rule’s implementation for indoor wood boilers.